If these pictures made people jump — or gave them an uneasy feeling — then Surrealist painters were satisfied: they had jogged viewers into a ‘crisis of consciousness’. Their ideas challenged all art practices, and their influence has never wained. 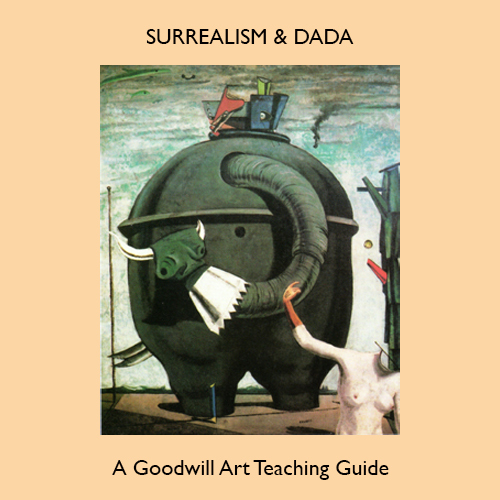 Dada was invented in Zurich in 1915 where some young pacifists proposed that everything in the world was ‘bunk’, including art. These early conceptualists staged wild, nihilistic ‘happenings’ that quickly spread elsewhere. The 25 images and 50 pages in this e-book offer concise information, teaching ideas and the opportunity for fresh and creative thinking about the subject.